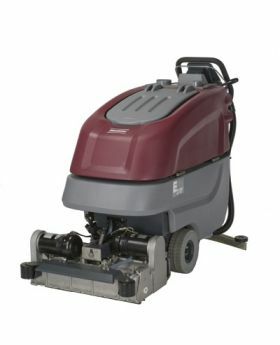 The E28 is apart of Minuteman's E-Series Automatic Scrubbers. This new and innovative walk behind scrubber offers effective green cleaning and increased productivity. The E28 covers 28,000 square feet per hour. Its cylindrical deck has an integrated sweeping function and is made of corrosion resistant aluminum casting.